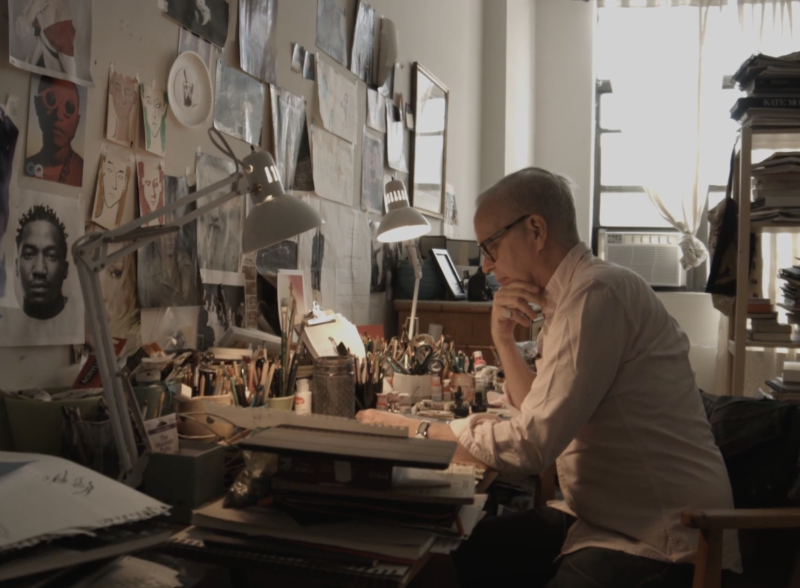 Booklyn-based Illustrator Richard Haines is no stranger to working with a diverse group of designers and as a fashion industry alumnus (he previously worked on the design teams at Calvin Klein and Bill Blass) he knows more than most how products need to function. His latest partnership is with leather goods firm Moore & Giles who have used Haines elegant line drawings on their beautifully made bags and holdalls.“Every collaboration is different,” Mr. Haines recently explained to the New York Observer. “My goal is to bring my art and incorporate it into the medium – whether it’s fabric prints for Dries, a book and t-shirts for Prada, or leather goods for Moore & Giles. I love the challenge of having my work become flexible enough to enhance the brand I’m working with.” The versatile artist has also recently worked for haute couture’s governing body in Paris live drawing the couture shows for the instagram account of La Federation Francaise de la Couture.